Chitosan is a dietary fiber derived from the shells of crustaceans that has been shown in non-clinical studies to bind to fat and cholesterol in the digestive tract. NOW Chitosan contains LipoSan Ultra, a patented high-density form of Chitosan that binds up to five times more fat than conventional Chitosan according to laboratory testing. A published clinical study has demonstrated that LipoSan Ultra, taken as directed, may aid in the support of healthy body weight and serum cholesterol levels already within the normal range. Now has also included Chromium in this formula. Chromium is an essential trace mineral that works with insulin to support healthy blood glucose levels and plays an important role in the proper utilization of protein, fat, and carbohydrates. As a dietary supplement, take 3 capsules with each meal. 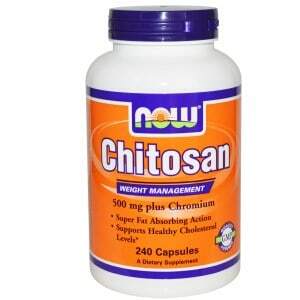 Refrain from taking Chitosan 4 hours before or after the ingestion of fat soluble vitamins (i.e., A, D, E, K) or any medications. 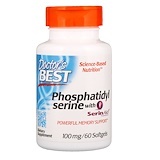 Consider taking this product in combination with NOW CLA, Diet Support and Phase 2.